Tara Jayne Sands is an American voice actress and former co-host of the Cartoon Network's weekly block, Fridays. 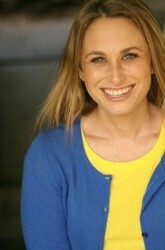 Tara's voice can be heard on hundreds of radio and TV commercials, audiobooks, video games, anime and animation. She played the roles of Bulbasaur, Ritchie, Sammy, Oddish, Tori, Bugsy, Cissy and Jasmine (as well as over 40 other characters) in the original "Pokemon" dub, Angel and Tyler in "Teenage Mutant Ninja Turtles," Anna Kyoyama in "Shaman King," Mokuba Kaiba in the original English adaptation of "Yu-Gi-Oh!," and the upcoming film "The Dark Side of Dimensions," Circe in "Generator Rex," as well as Kari in the upcoming "Digimon Adventure Tri," Ed in "Marvel Disk Wars," Konbu Infinity in "One Punch Man," Karla in "Gundam Thunderbolt," Yota in "Naruto," Summer in "Barbie: Life in The Dreamhouse," multiple roles in "Sailor Moon," and Filia Ul Copt in "Slayers." She also provides narration on over 100 audio books and can be heard in th e video games "Dead Island," "Avatar," "Singularity," "Final Fantasy," and "Call of Juarez"among others. For 2 years (over 100 episodes! ), Tara was the on-camera host of Cartoon Network's weekly Friday night lineup, appropriately titled "Fridays." On "Fridays" Tara interviewed dozens of celebrities like Johnny Depp, George Lucas, Robin Williams, Charles Barkley and Kevin Spacey, and had more on-camera food fights than she cares to remember.